The Tele-View USB Endoscopes and Gastroscopes are ‘plug and play’ endoscope systems that are ‘quick and easy’ to use. The scopes have high resolution sensors with LED illumination and they work with Windows computers, laptops and tablets and Android devices! Just install the software on your computer and attach the USB connector and you are ‘ready to go’! 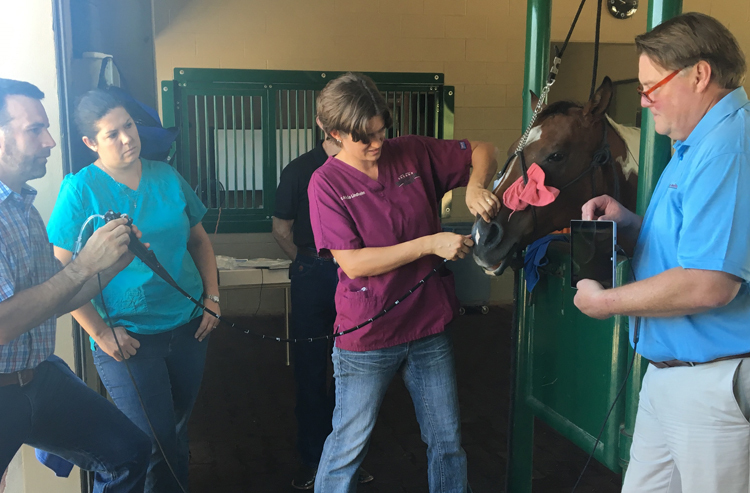 You can easily record video and snapshots of the procedure to the computer’s hard drive to show to clients. With this innovative design, there is no need for a processor, light processor, special monitor or a storage rack. 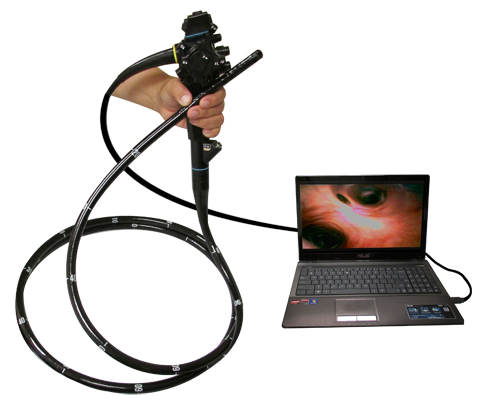 The Tele-View Endoscope/Gastroscope is excellent for both, mobile and in-clinic endoscopy. The Tele-View USB Endoscopes come in 1.0m, 1.5m, 3.0m and 3.5m lengths with 8.7mm, 9.8mm or 12.6mm diameters. The insertion tube includes a high resolution camera sensor, super-bright LED lights, a working channel, an irrigation channel to clean the lens and an air-water channel for lavage or insufflation. A portable rechargeable air-water pump is sold separately. Now you can quickly and easily complete endoscopic procedures without having to carry awkward and bulky equipment! 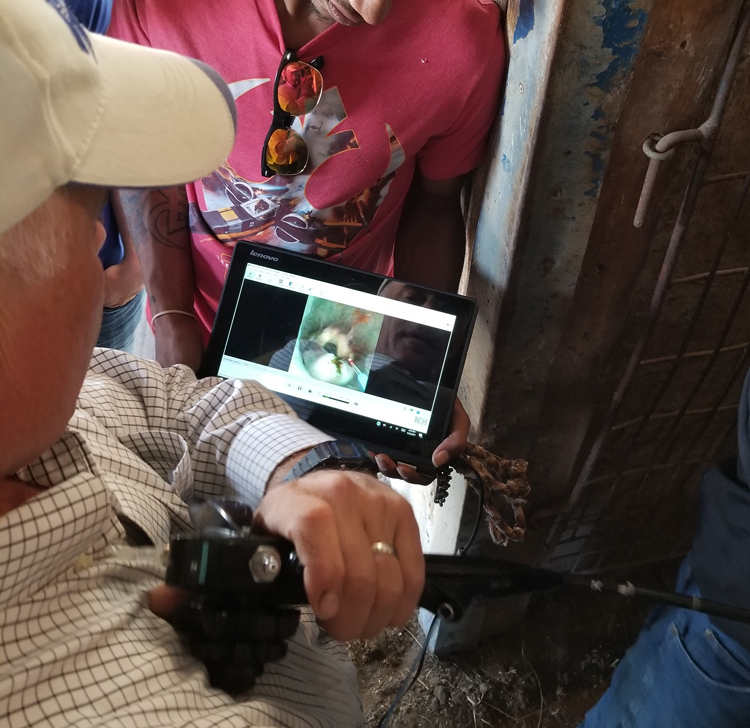 These video scopes are very robust as they have no fibers to break! The scopes weigh only about 2 lbs. (1 kilo) and can easily be transported from one client location to another. The software is included at no charge and the high resolution images and video are automatically saved to the computer hard drive. From there, they can be attached to the patient record or sent to the client by e-mail, Dropbox or Google Drive. 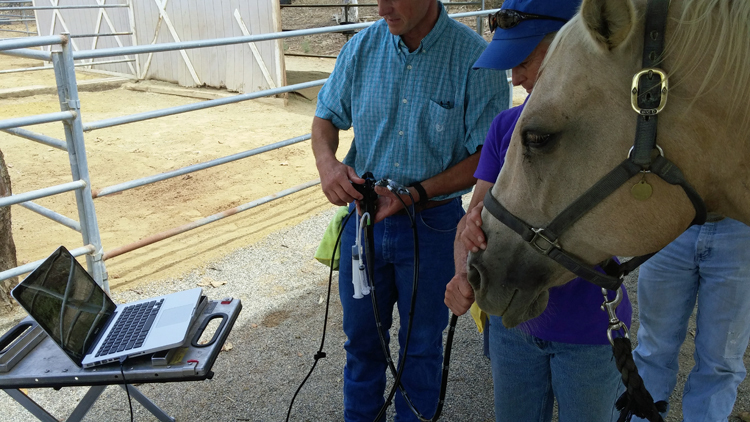 Call (877-838-8367 x105) or E-mail To Order Tele-View USB Equine Endoscope and Gastroscope. 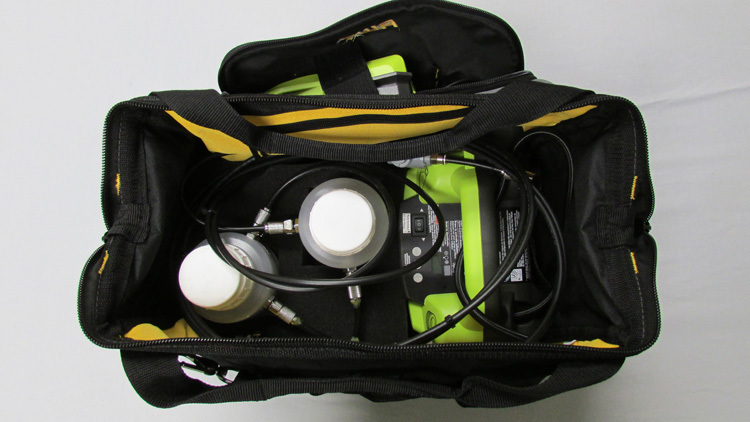 Air and water can be administered manually via the luer-lock connectors or automatically with the purchase of the optional Tele-View Portable Air-Water Pump. TV-571: 1.0m x 9.8mm diameter: Excellent for equine endoscopy to the bronchi. TV-574: 1.5m x 9.8mm diameter: Excellent for equine endoscopy into the lungs. AMC can also supply all needed endoscope accessories such as forceps and channel guides. For Small Animal use, click here to see Small Animal Models and Sizes.